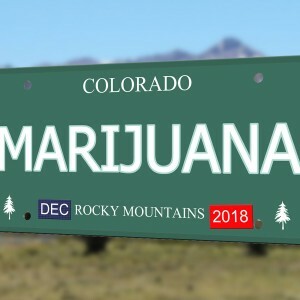 What Will Legalization Look Like If The STATES Act Passes? Members of Congress appear to be growing increasingly confident that the Strengthening the Tenth Amendment Through Entrusting States Act, or the STATES Act, could pass as soon as next year. 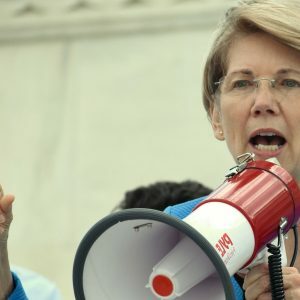 This bipartisan bill, sponsored by Senators Cory Gardner (R–CO) and Elizabeth Warren (D–MA) in the Senate, with a companion bill introduced in the House by Representatives David Joyce (R–OH) and Earl Blumenauer (D–OR), would amend the Controlled Substances Act to provide a new rule on cannabis in states where it is legal. That would mean states would be allowed to legalize and operate legal markets, and these legalized states would face almost no conflict or interference from the federal government. So, what happens if the STATES Act does pass? How would this bill affect the cannabis industry? And how would it affect the wider war on drugs? 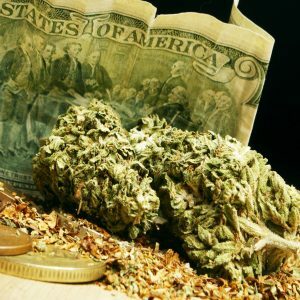 Shortt explains that not only would businesses already operating in the legal cannabis industry be able improve how they handle their finances, but under the STATES Act, new businesses entering the space for the first time would be able to more easily secure loans and credit to get their businesses off the ground. Essentially, under the STATES Act, existing businesses would have a chance to grow exponentially, and there would likely be many more new businesses entering the industry. 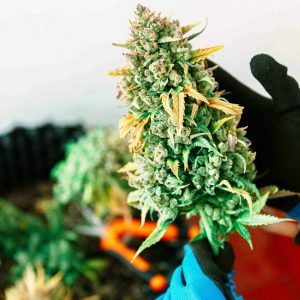 The cannabis industry is already a profitable one, with a projected value of $11 billion for 2018, according to CNNMoney, and its value expected to hit $47.3 billion by 2027 in North America, according to Forbes. This bill passing could further escalate that growth. People being more easily able to secure loans and credit from financial institutions could have a positive knock-on effect for the wider community, Shortt explains, particularly benefiting people of color. 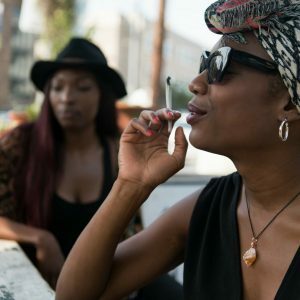 Despite their best efforts, African Americans have historically had a tougher time getting into the legal cannabis industry because of the high costs associated with the licensure process at the beginning, and because people of color have endured higher rates of arrest and prosecution related to drugs charges (despite similar rates of consumption as compared to white people), meaning they’re automatically excluded from applying for cannabis licensure. There are still certain barriers that this bill does not address, but it could help with some of the financial aspects. As things stand, cannabis businesses cannot sell their products across state lines, and the bill does not address this issue. However, the bill’s passing could allow states to pass their own laws allowing interstate commerce. 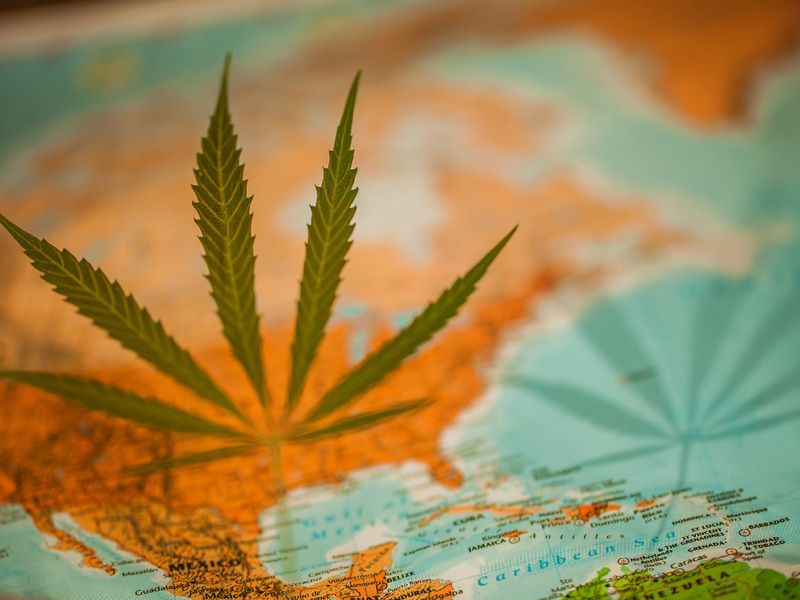 “The act is silent on interstate commerce, so it is likely that should businesses begin trafficking [cannabis and cannabis products] between states, there could be legal challenges, even if only between legal markets,” Justin Strekal, political director at NORML, tells Big Buds. “The states would have to address the interstate transfer of marijuana and make it legal on that level,” Shortt agrees. What About Taxation And Criminal Justice Under The STATES Act? In its current iteration, the STATES Act does not address issues cannabis businesses have frequently faced concerning taxation, specifically Section 280E of the Internal Revenue Code, which forbids businesses from deducting ordinary expenses from income associated with the trafficking of Schedule I substances as defined by the Controlled Substances Act. As a result, these businesses cannot utilize tax deductions and credits typically available to other business sectors and so are forced to pay much greater taxes, as high as 70 percent. It’s likely that an amendment to this tax code would need to be a separate reform that comes later. If the bill does pass, Shortt warns, then a person can still be sent to prison for a long time in states where cannabis remains illegal, but it’s unlikely they’ll face any charges in states where cannabis is regulated, as long as they’re following that state’s law. 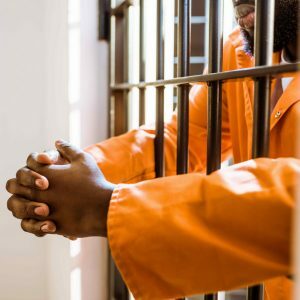 He adds that it’s disappointing the bill does nothing to address the damage done by the war on drugs, which could include expunging past criminal convictions related to cannabis charges. It’s likely that individual states will continue to address those issues. Those are the kinds of problems addressed by Sen. Cory Booker’s (D–NJ) Marijuana Justice Act, a bill that aims to deschedule cannabis completely, while attempting to address the problems caused by the plant being illegal for so long. That bill, however, has less support in Congress than the STATES Act. Strekal’s complaint is that because the STATES Act doesn’t deschedule cannabis, it fails to address the primary issues currently blighting the industry. 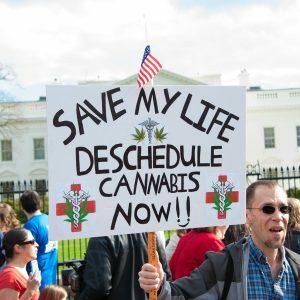 Many believe that if this piece of legislation were to pass, it would be a giant step toward full, nationwide legalization, especially given that both major political parties can agree for the moment. That could mean full legalization would come within two or three years after this bill passes.